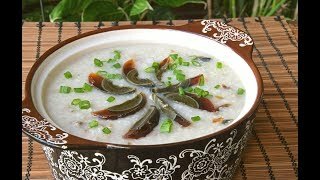 The de facto most popular type of congee. 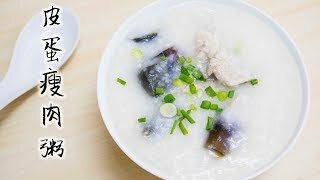 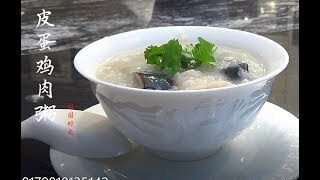 In it, you'll find the smooth velvety texture of the congee is mixed perfectly with the satisfingly complex and savory flavors of the preserved egg and pork. 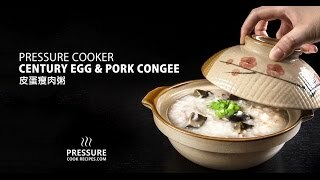 The preserved aspect of these eggs change the outer section into a delightfully gelatin like form while the yolk takes on an incredibly creamy texture. 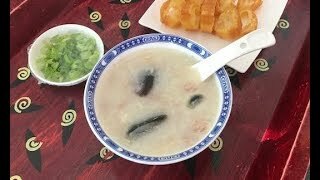 Be sure to ask for Chinese fried dough (油条), also known as youtiao, which is a staple addition to any congee. 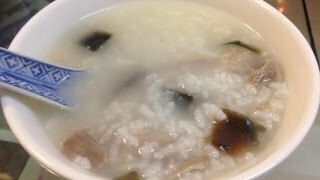 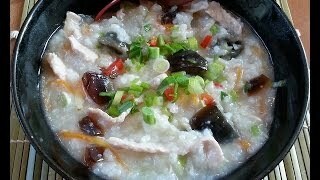 Note that congee is simply a type of rice porridge.